Every winter I got really lazy. Just reading books and other smaller things. But in the beginning of february, when the days are getting longer my mind wakes up and suddenly I want to do things again. Today we got our first order of our beekeeper stuff. We orderd some cloths and other things. 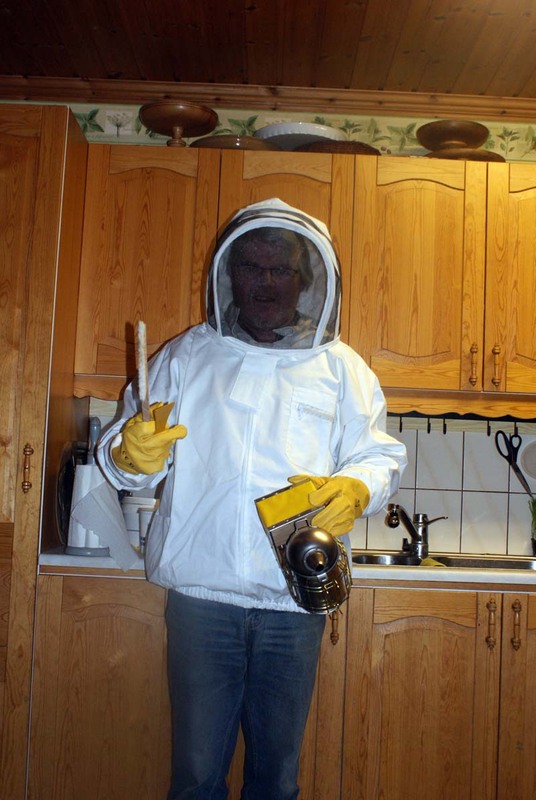 We also orderd a cupple of behives. Hopefulle we also got some bees, but they will arrive when we are back from Svalbard. We spended this winter with teoretic studies of the small insects, and how to be a god beekeeper. I have already made some stuff to the be behives such as frames and so. This winter seems to be the longest, and one of the coldest I can remember. Since nov 7 we got cold wether every day, except two days in the middle of january. Worst was in december. Yesterday we got a blizzard, and this morning we got about 60 cm snow on our road. And too cold to get the tractor started. Guess who got som exercise with the snow shovel a 5.30 pm. Hey you two: GET A ROOM!